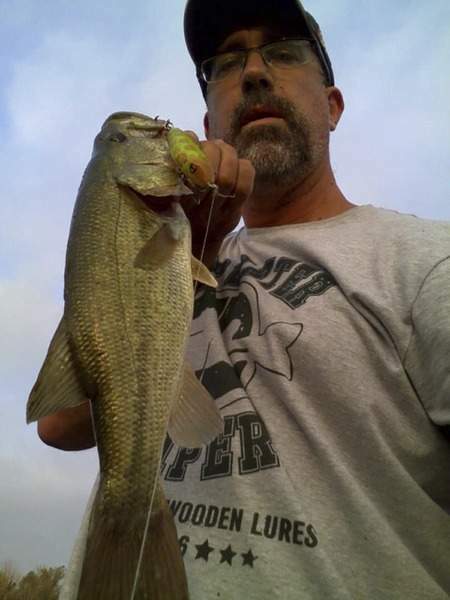 Courtesy Charles Wurst, an avid bass angler and lure maker from Fort Wayne, caught dozens of fine, healthy bass at Lakeside pond on his homemade TopwaterSniper lures. If you have an outdoor experience you'd like to share, email your stories and photos to The Journal Gazette at jgsports@jg.net. Please provide full names, ages, hometowns, type of animal and when and where caught. Photos must be jpegs.